It’s been a while since I’ve posted anything on my blog . I apologize for that but my life has been busy the last month or so with starting back at DePaul, working on my film and assembling my film team. So far I got a couple of people on board with my documentary and I’m so glad to have them on my team. Yesterday in my Senior Capstone class we did an in class activity and the activity was What are your goals…and basically it what were are goals for the next year, and what were are goals in five years and ten years. It was an interesting activity for me because I really haven’t thought about what my goals were for the future and it took me some time to figure out where I see myself not just in one year but down the line. I want to share with you all what I wrote. For the next year, my goal is to have my film finished, distributed and shown across the country at different film festivals. It’s a goal that I feel will set me up for my goals in five and ten years. In five years, my goal is to be directing more films or producing a television series. In ten years, I plan to be married (hopefully) and I continue to make a name for myself in the film and television industry. I feel like these goals are attainable and I understand that if I want to make it in these industries I have to work hard and network to make it. This film is the stepping stone to my success and I hope that I know that I will be a success because I’m a strong person and I have persevered through a lot of tough times in my life and nothing is gonna stop me for completing my goals. Last Friday I had my interview session for my film and it was a great experience. Normally I’m the one holding the camera and capturing some great footage, but this time I was in front of the camera and let me say that it was a nerve-racking experience for me. Now it was nerve-racking for me before shooting my session because I had never done this before and I knew that this was going to be an important part of my film so I was nervous (wouldn’t you be knowing that you were gonna be in front of a camera?). So on that day I met with my special adviser Camille (who has been an important part of my film) and I was scared to death but I didn’t want to show that to her so I was cool and calm but inside, I was freaking out. After a little hiccup (camera issues) we got started and Camille started asking me questions that I had put together and a couple of her own and as I started talking, I started to relax and all the nervousness I had was gone. Today I’m making a change to my blog. Normally today I would be talking about a documentary that I like and how it relates to my film but that’s gonna change. Starting Sunday August 5th through August 13 I start working on another film that I’ve talked about called “Deadly Embrace” as 2nd assistant director. I will continue to post on Friday’s but I’m gonna be posting everyday starting next Monday while working on Deadly Embrace just to give you all updates on what’s going on with the film and my role on the set. I’m also thinking about posting photos and maybe videos on my experience but I haven’t decided yet. Thank you all for your continued support of my blog and my documentary. This past Tuesday was a special occasion for me. Not only was it my birthday but I turned 30, an accomplishment that I never thought I would reach. I mean I’ve envisioned reaching this milestone in my life but when you actually reach that age it’s still surprising. I doing things in my life now that five or ten years ago I would’ve never imagined. I’m directing a documentary about my life, I’m about to take part in an actual film, and I’m preparing my life after college. There’s also certain things in my life that I now want that I didn’t want five or ten years ago. I’m at a point in my life now where I want a relationship. I want someone who I love, who understands who I am as a person, and supports me and my goals in life. I’m also at a point where I want to be a success at everything that I do and I truly believe that with my talents I can do that. I’m absolutely happy that I’m 30, I’ve had a lot of ups and downs in my life thus far and I’m looking forward to the next 30 years of my life. I been working on these questions for this interview session that I plan to do for my film. This to me is the hardest part of my film because it puts me in front of the camera instead of behind the camera and in all honesty I’m scared because I’m putting myself out there for people to get to know the real me. Now, I can’t be scared because this what I wanted to do, this is the point of the film, to show people who I am but in writing these questions I feel that I’m exposing myself way too much. I feel that when I do this session and I start talking to the camera, I might expose my real feelings for people who I really care about and are important to me in my life. Let me tell you all something a friend of mine once said to me that “you always wanted to say something but you keep it all inside” and that’s true. When it comes to telling people how I feel about them I have a hard time expressing my feelings to others because I fear that it could ruin long-lasting friendships that I’ve made in my life so I keep those feelings to myself. It protects me and the people who I care about from finding out the truth but it’s really not fair to the people I care about and to me because it makes it seem like I’m hiding something and that’s not the case. I truly love these people who are in my life but it’s just hard for me to not only express my feelings to them but to tell these people who I love them. I don’t know what to expect when I do this interview session but the good thing is that I got good people who are gonna help me through this process because if I didn’t have them, this interview session would be an emotional disaster. 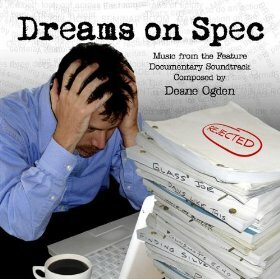 Today has been a real busy day but I quickly wanted you all to check out this excellent documentary called Dreams On Spec (2007). This dcoumentary features screenwriters such as Nora Ephron (who recently passed away), James L. Brooks, Carrie Fisher and many other screenwriters who share their stories on the struggles of turning their scripts into movies. For the last few weeks I’ve been shooting some new footage for my film and I’m just having a great time riding around the city and shooting new footage. Everytime I shoot in a different location, it’s a completely different experience from the previous location and I’m loving that aspect of shooting right now. A couple of weeks ago, I was talking to my special advisor for the film, Camille DeBose and we decided that by Thanksgiving I’ll be done shooting my film. 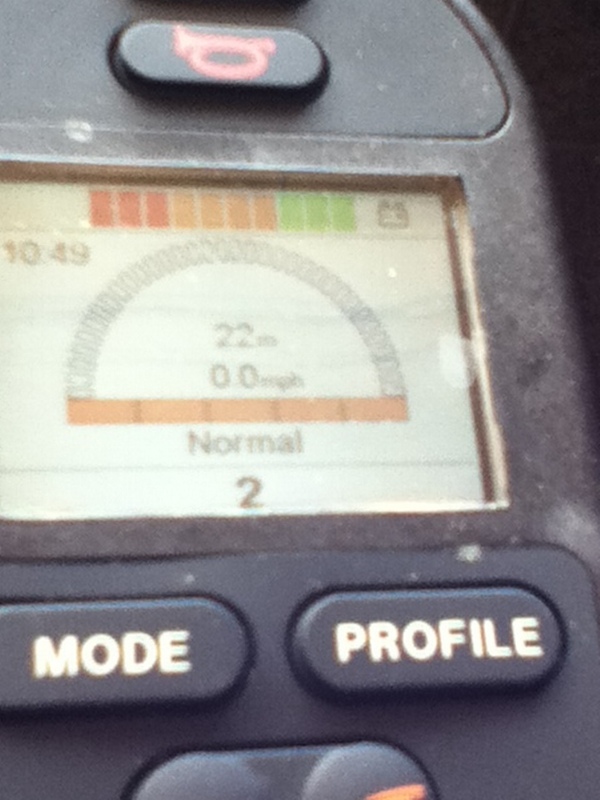 By that time I’ll have plenty of footage that I can edit and use for the film. We also talked about setting up a day where I would do an interview session, where I would answer questions that she and I came up with. I plan to that next month after I’m done working on Deadly Embrace. After I’m done shooting, I’ll focus more on editing, fundraising, finding music, and finding festivals where I can screen. I don’t have a a particular date where everything will be finished and the film will be completed but whenever that date is I will let you all know. Thank you all for your continuous support of my blog and my film. Today I’m focusing on the world of video games, more importantly competitive gaming. Recently gamers from around the world came to Las Vegas to compete in EVO 2012, the primer fighting game tournament in the world and every year it just gets bigger and bigger. 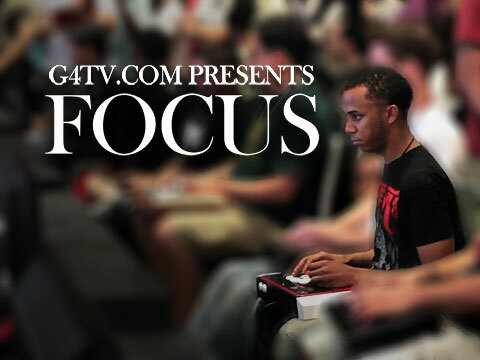 One person that competed in this year’s tournament is Mike Ross, one of the top street fighter players in the world and he was the focus of a documentary in 2010 called FOCUS (directed by Steve Hwang). This documentary looks at Ross’ journey through the fighting game scene, with him competing in various tournaments and his goals for the future. While Ross is very passionate about what he does he realizes that he might not be competing in these tournaments much long due to the fact that in some tournaments for all the practice and time you put into a particular fighting game, you don’t really get a return in the time that you actually invested in. For example, in one tournament that he won, his prize total was only $73. The only way that you can make real money is competing in much bigger tournaments where the prize money range from $,1000 to $20,000 (Top prize in EVO). I like this documentary because it speaks to me as a gamer and the fact of the matter is that while I still play video games, my real life priorities (working on my film) have gotten in the way me playing video games on a daily basis and in all honesty that’s not a bad thing. At first, I didn’t know how this documentary correlated with my film but it does. I have really grown up as a person and has a reached a point in my life that maybe 10 years ago I didn’t expect to reach when I was an everyday gamer, but I’m trying to find a balance where I’m still a gamer and have real world priorities. I feel that Mike Ross was dealing with that as well and maybe he has or is still trying to figure out to this day. Please check it out, it’s really awesome.